Father John Misty, The War on Drugs, and The Decemberists! Cancel your plans for the second weekend in June, and pack your tent, Tevas, and thermoses, because your presence is needed at Mountain Jam 2018. 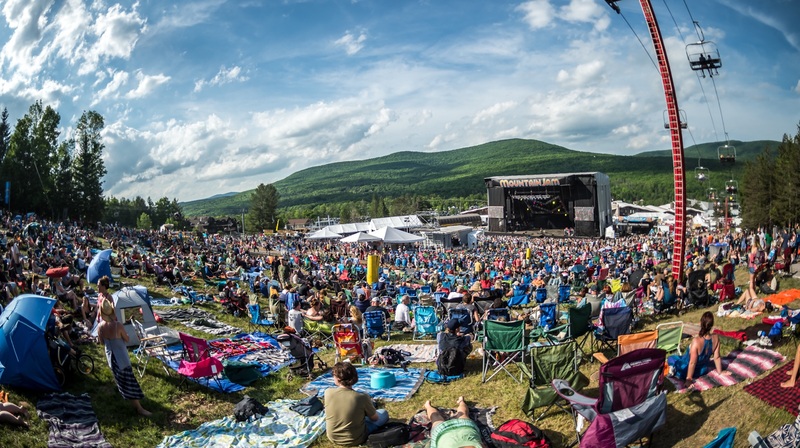 Located on Hunter Mountain in upstate New York, the fourteenth annual festival is going to be a can't-miss, thanks largely to headlining performances from Alt-J, Portugal. The Man, Father John Misty, and Jack Johnson. With over 50 artists taking to the stage over the course of three days, you’re guaranteed to see the acts you love, and discover new ones to obsess over before the weekend's over! This year, the Mountain Jam crew added some pretty exciting activities for festival-goers, including group yoga, local artist displays, hula hoop lessons, and their infamous Sky Ride (the longest and highest zipline in North America). In addition to all that, for all you woke music lovers, they'll have an Awareness Village featuring exhibits from various non-profit organizations. Between the lineup and world-class fire dancers (did we mention that one? Because, yeah), it’s pretty unlikely you’ll experience any boredom this weekend. So, who else will be performing June 15 - 17? George Clinton & Parliament Funkadelic, The Decemberists, Jenny Lewis, Rag’N’Bone Man, Lewis Capaldi, The Stone Foxes, and many more! We’ll be the ones pressed up against the front of the stage, swaying in the crowd at The War On Drugs and Sturgill Simpson. Check out our playlist below to get hyped for the big weekend, and grab your tickets —we’ll see you on the Mountain!